Today the second game for the Datach Joint ROM System was waiting for me at the post office. 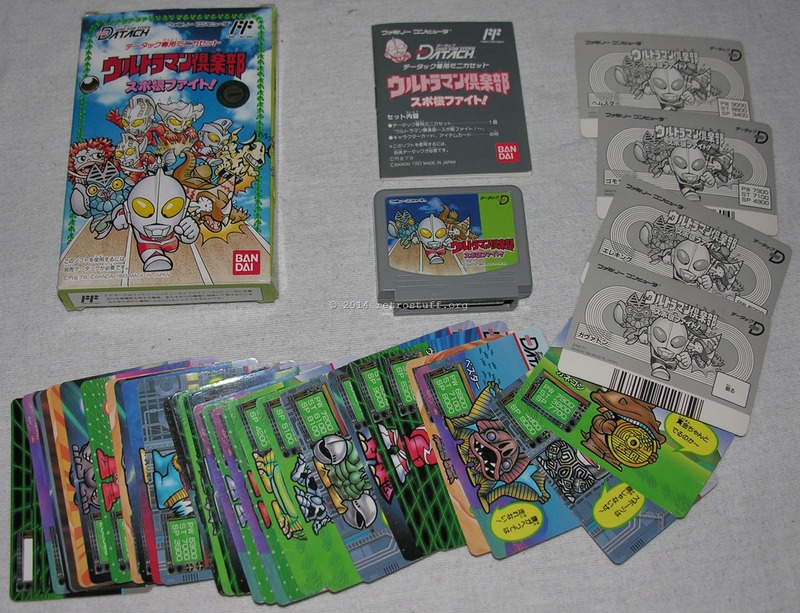 I’m glad to have found it for a decent price as these mini cartridges and barcode cards are quite rare and/or pricey. Ultraman Club: Spokon Fight!! (ウルトラマン倶楽部 スポ根ファイト!!) is a track and field / Olympics game with characters from the Ultraman universe. 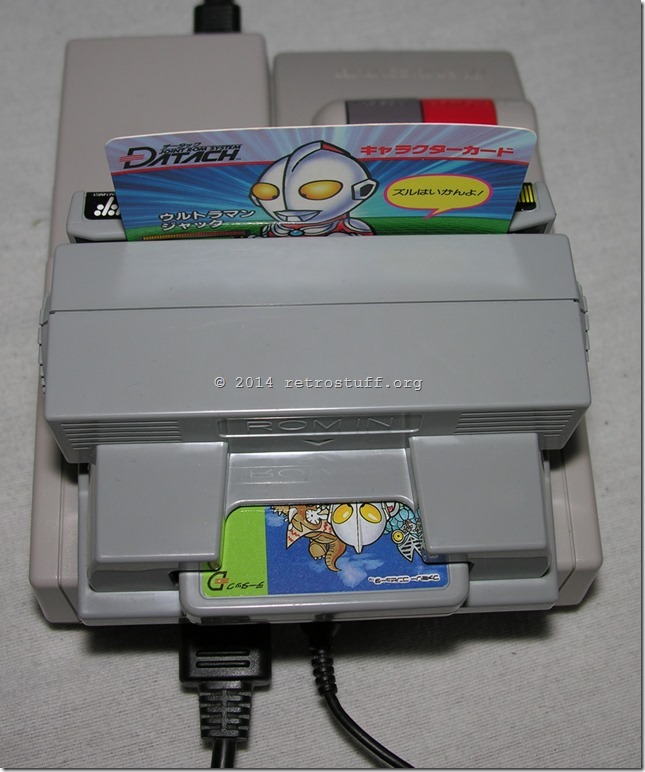 It contains a Datach mini cartridge and 40 barcode cards (including two blanks). AV Famicom – Datach – Ultraman Club: Spokon Fight! !